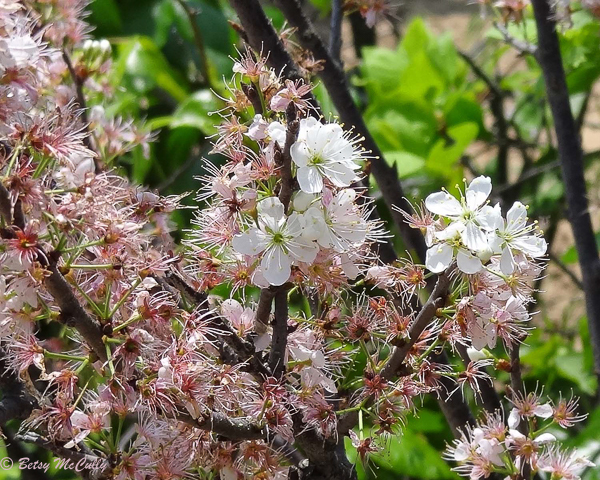 Beach plum (Prunus maritima). Rosaceae family. Shrub. Maritime dunes and coastal sandy thickets on Long Island. Napeague, Long Island, 2012. Blue-purple fruits. Flower colors vary white to pink.